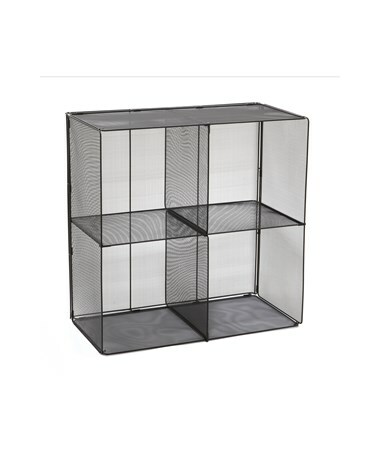 The Safco Onyx Mesh Cubes is an organizing unit with four compartments. It is formed by four mesh cubes combined together. 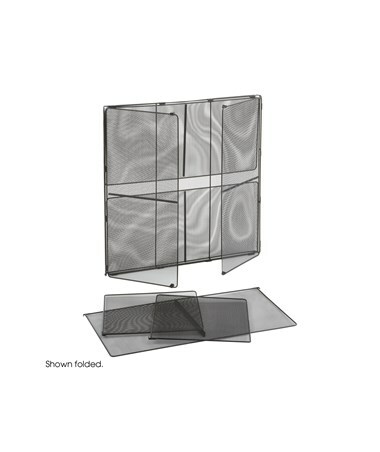 The whole unit can be collapsed for compact storage and it is easy to assemble or disassemble. 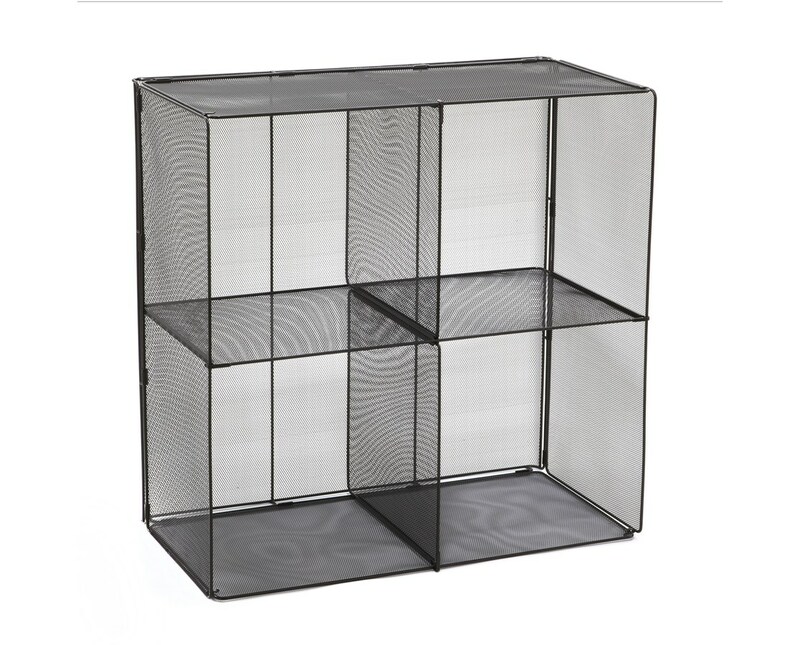 This mesh cube organizer does not take up too much space because it is only 28 ½ inches in width, 14 ½ inches in depth, and 28 ½ inches in height. Each compartment has a size of 14 inches. 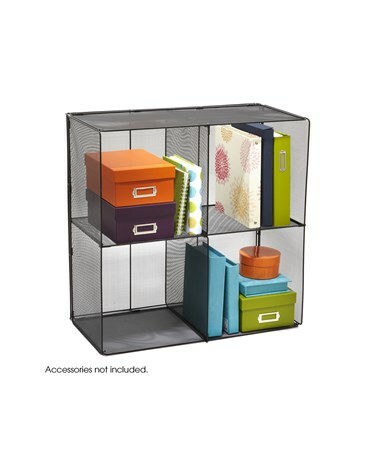 This four compartment storage unit is made of steel mesh with a black powder-coat. It is also GREENGUARD certified for low chemical emissions.